The term naturopathy was coined in 1892 to describe a rapidly growing system of natural therapies emphasizing the body’s ability to heal itself. The philosophy and the therapies, which have their origins in Hippocrates and the traditional and indigenous medicines of the world, first became a distinct profession in Germany in the mid-1800s. In 1896, Dr. Benedict Lust (MD) brought naturopathy to America and established the first naturopathic college. First, do no harm. Traditional naturopathy embraces only therapies or procedures designed to enhance healing and produce wellness. Naturopathic doctors use minimally invasive and nontoxic remedies, proven safe and effective by research and clinical practice. Recognize the healing power of nature. The human body has the capacity to heal itself and maintain homeostasis. Naturopathy works in harmony with nature to restore and support the body’s natural healing systems. In providing treatment, naturopathic doctors are educated in the use of natural remedies, and refer as appropriate for surgery of pharmaceutical medication. Consider the whole person. For individual care, naturopathic doctors consider not only lab results, family history, and physical symptoms but also the mental, emotional, environmental, social, and spiritualfactors that affect health. Identify and treat the cause. 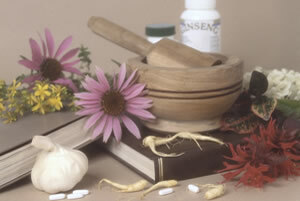 Naturopathic doctors strive to identify and treat the cause of disease. Correction of the cause is considered the most plausible and sustainable way to eliminate symptoms. Rather than using pain killers to reduce joint pain, for example, the doctor would address the medicines, inflammation, conditions, injury, nutritional deficiency, or other causes of the pain. An ancient practice, botanical medicine uses substances derived from the leaves, flowers, roots, and stems of plants to treat complaints from the common cold to digestive problems to endocrine system dysfunction. Its use in naturopathic care is guided by clinical experience and research on side-effects, interactions, safety and appropriate dosing. The body’s natural cleansing systems are often overwhelmed by environmental contaminants we’re exposed to every day – e.g., pesticides, toxins, metals, synthetic hormones, prescription drugs, food additives. Typical symptoms of exposure include fatigue, pain, allergies, and enhanced sensitivity to odors, lights, or noise. Environmental medicine includes a variety of therapies – including seasonal cleansing and naturopathic hydrotherapy ─ to help the body excrete and metabolize undesirable compounds. Functional medicine is based on the principal of biochemical individuality – that our bodies are all different due to genetic and environmental factors. In this patient-centered approach, physicians address the underlying causes of disease rather than symptoms, recognize the human body as an interconnected physiological system and see health as positive vitality rather than the absence of disease. Homeopathy is based on the philosophy that “like cures like.” Ill persons are treated using tiny doses of substances that can produce, in a healthy person, symptoms similar to those of the illness. Normally, remedies are taken in extremely diluted form – such as one part remedy to around 1,000,000,000,000 parts water. Similar principles are used in conventional allergy treatment, where the allergic substance is given in a small dose, and in vaccines, where an impotent form of a virus is given to bolster the immune system against the virus. Lifestyle counseling addresses the physical, mental, and emotional factors in everyday life – diet, stress, emotional patterns, relationship issues, work issues, environmental factors – that affect health. Through lifestyle awareness, each patient can participate more fully in his/her healthcare and create a healthier environment for self and family. Hippocrates said, “Let your food be your medicine and your medicine be your food.” Nutritional medicine addresses the relationship between diet and health, including the identification of harmful dietary habits, potential food sensitivities and nutritional deficiencies. Treatments include dietary changes and supplementation with quality vitamins and minerals. Many forms of musculoskeletal pain can be relieved by the manipulation of bones and soft tissue. Manipulation can be achieved through gentle stretching, massage, yoga, and chiropractic. Chinese medicine achieves health by balancing the body’s energy pathways. Ancient Chinese therapies include acupuncture, bodywork (including yoga and massage) and herbal remedies. Naturopathic medicine is the choice of hundreds of thousands of people around the world. In the United States and Canada, the number of licensed and affiliated naturopathic doctors has doubled in recent years to more than four thousand. Naturopathic care is increasingly the choice of patients seeking collaborative, safe, cost-effective treatment and integrative partnerships between conventional medical doctors and licensed NDs are becoming more available. Every day people are recovering their health by adding naturopathic medicine to their healthcare options.